The Youth Provincial Assembly Punjab is a new PILDAT initiative, which is patterned after the Provincial Assembly of the Punjab. Its membership, 40 in total, is to be drawn from across all districts of Punjab. The specific objectives of the YPAP are to groom the leadership potential of the youth from Punjab to help them articulate their views on national and provincial policies in an informed and structured manner through dialogue and debates. PILDAT has been successfully running the Youth Parliament Pakistan on the national basis since 2007. In 2013, PILDAT established and facilitated the first-ever Youth Provincial Assembly Khyber Pakhtunkhwa (YPA-KP) focussed on engaging with the Khyber Pakhtunkhwa Youth in a healthy discourse and exposing them to democratic process and practices. Youth forms a very significant segment of Pakistani society. Over forty per cent of Pakistan's population is 18 years old or younger. Violent extremism in Pakistan has become organic feature of internal security environment of Pakistan mostly involving youth of the country. More often than not, religious extremism alone is generally ascribed to turbulent environment of Pakistan. It indeed accounts for significant proportion of instability, yet in realty it is only a fractional component of the holistic setting which is beset by several forms of violence-prone undercurrents and trends. 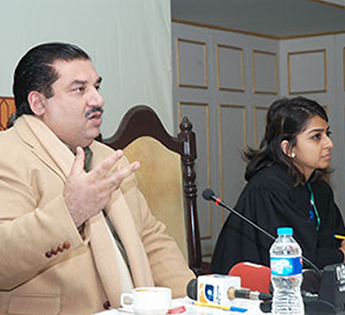 It is with this background that focus is placed on youth through a dedicated Youth Provincial Assembly Punjab to engage youth from the province to help rationalize their thought process about extremism and build their capacity to act as catalyst and initiate constructive change in their communities in particular.